Synopsis:Following the mysterious death of his colleague, CIB Chief Inspector Michael Miu discovers that the five undercover cops under his colleague's watch have gone missing. As the undercovers hold highly confidential information concerning the police force and society's safety, Michael is determined to find them. He finally tracks down one of the missing agents - Charmaine Sheh, posing as the owner of a foot massage shop. In order to recover her identity, Charmaine agrees to infiltrate the triads. She manages to get close to Raymond Lam, a member of an illegal gambling group. The two begin an elusive relationship built on lies. But just as Charmaine edges closer to the truth, Michael suddenly halts the operation. This is when Sharon Chan from the ICAC intervenes into the case. Through Sharon, Michael meets her elder sister, Elena Kong. Meanwhile, the triad leader Benz Hui has been released from jail and his assistant Sammy Sum's actions is catching Michael's attention. The relationships between the police and the triad become increasingly complex; with everyone claiming to be fighting for justice, who truly dictates justice? Man Wai Hung (M): It’s a police drama but with many other elements incorporated including comedy, light hearted moments, life and death plus many exciting scenes. You can view it as an intense, commercial series. The story talks about a conspiracy, where five police undercovers lost their identity. How can they save themselves? As CIB’s Chief Inspector, Michael Miu’s character will use every effort to find the five undercovers, save them and solve crimes together. T: Will the story focus on Raymond Lam and Charmaine Sheh? M: Raymond Lam and Charmaine Sheh, Michael Miu and Elena Kong, Sammy Shum and Sharon Chan are the three main storylines of the series. Their performances in every episode will be very touching. After many obstacles, Michael Miu will locate the five undercover officers. Raymond and Charmaine will be the two of them. They will have some romantic involvements as well. T: Will Raymond and Charmaine’s romance develop when they didn’t know the other is an undercover police officer? M: Both of them live in the world of triads. When their relationship first developed, they didn’t know each other’s true identities. There’ll be many romantic, passionate, comedic and silly happenings which differ from other grim dramas about undercover officers. Charmaine plays a smart, active girl, like a modern version of Wai Siu Bo (a character from The Duke of Mount Deer series). 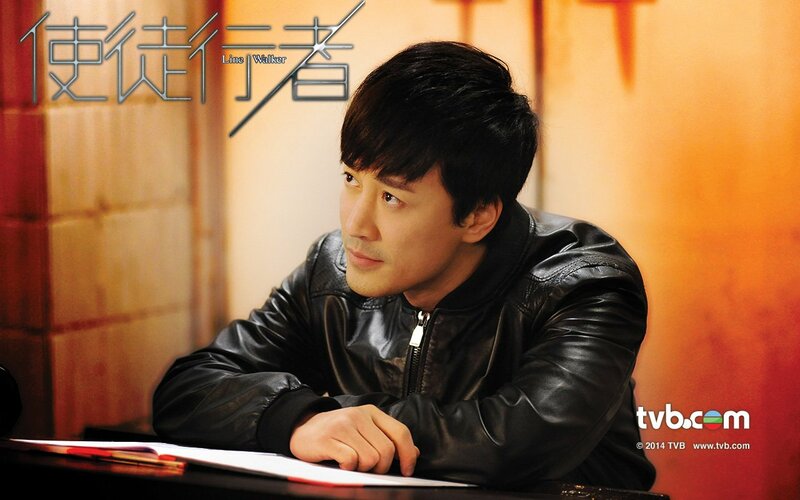 On the surface, Raymond Lam is a gangster but he’s very brave and strategic. When a smart female undercover meets a brave guy who knows how to fight, you can imagine there will be many sparks between them. T: What type of character does Michael Miu play? Will Sharon Chan and Sammy Shum portray a couple? Sammy Leung was originally cast but had to quit because of an illness. Sammy Shum (confusion!) took the role instead. Sharon Chan revealed her character will secretly investigate Michael Miu because she thinks he is hiding something. She will be involved in a love triangle with Sammy Shum and Patrick Tang. Ankie Beike will interfere with Charmaine and Raymond’s relationship. Oscar Leung will portray a gang member. His job is to protect his ‘brother’ / leader, Raymond Lam. I haven't watched a TVB drama in a long time since nothing really seem interesting but I have to watch this one for Charmaine and Raymond. 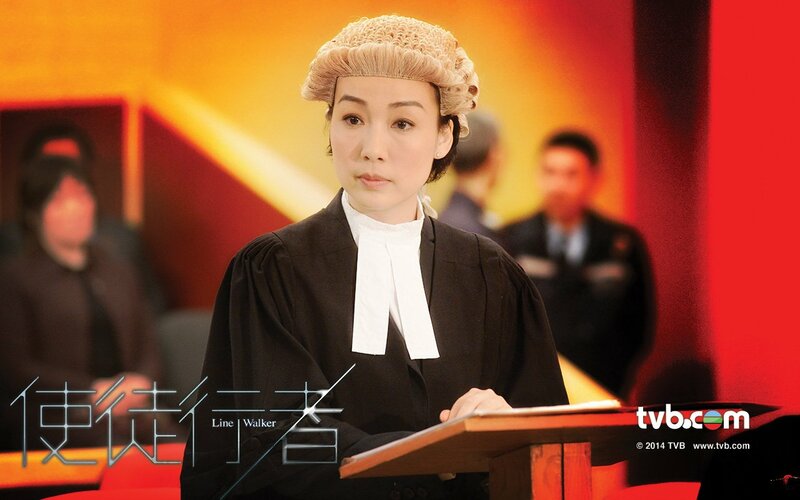 I just finished watching episode 1 and so far so good, I love Char's role, i definitely miss seeing her in a tvb drama. I hope this will be a good drama and nothing to draggy. Ray and Char are doing a good job portraying their characters as I was laughing at their scenes together. I cant wait for episode 2 because there going to be more comedy interactions between charray!! Michael is doing a good job as well. Can't wait till Sharon and Sammy shows up! I have long ago decided to quit watching any TVB dramas due to their recycled themes, boring/draggy storyline, and not so good actors/actresses. 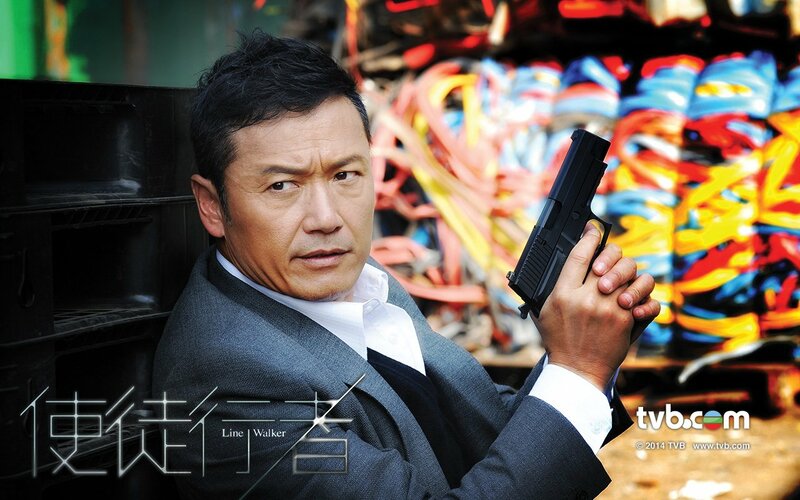 However, "Line Walker" might do me a miracle for it has been on my radar way back when it was filming plus I have always liked undercover cops theme especially if done right. The only character to me that does the undercover cop role justice was "Laughing" in Life of Omission. Michael Tse did a good job portraying the role but I absolutely hated his female lead (Fala Cheng) throughout the drama. Hope the paring of Raymond-Charmaine would not be a disappointment. I watched them before in "The world of sister Fala" or something. I couldn't see myself feeling the chemistry nor liking the pair at all even though I have not anything against them as an actor/actress. Anyways I will check this one out to see if it gonna do me any difference. This TVB drama looks promising. After watching five episodes, it still keeps me quite intrigued. Hopefully it will be able to continue like this and not turn into a disappoint. Men, the first five episodes are good, cant believe I am waiting to catch the next episode when it is aired. This drama really does me a miracle for this is the first time I've felt the chemistry betn Raymond and Charmaine, lol. Anyways, I hope this drama will more in store for us viewers and wont go astray later in its path. *Note: Shades of Life did not broadcast this week due to the Miss Hong Kong Pageant Finals. Complaints:- 6 telephone complaints were received regarding the Miss Hong Kong Pageant Finals; audience were unsatisfied with the results. I'm really enjoying this drama! It has been years since I've watched a TVB drama and this one sure doesn't disappoint! 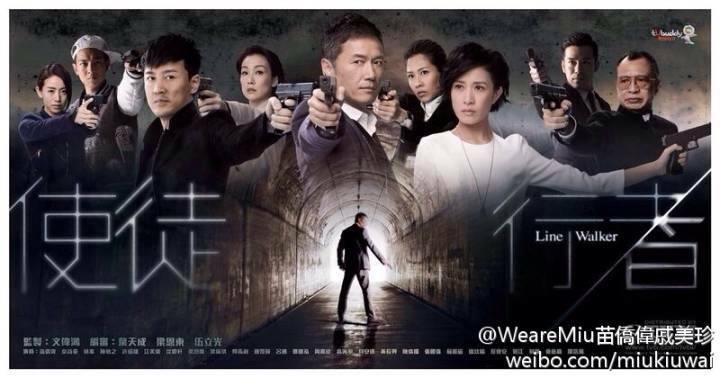 The story of TVB drama "Line Walker" is moving faster and faster. The passionate kissing scene between Raymond Lam and Charmaine Sheh will be broadcasted this week! Apparently, when Charmaine had to film the kissing scene, her old injury with her tailbone relapsed. She had to wear heels for the scene and turn her body for the shot. In the scene, Raymond pulls Charmaine to him and kisses her. This warm, loving scene also leads into a few jokes. "Line Walker" announced good ratings results, as Monday's episode peaked at 33 PTS, and averaged at 32 PTS. The drama is also the drama with the highest rating (in an episode) up till now. Benz Hui, Samantha Ko and Oscar Leung celebrated the success with champagne at Tseung Kwan O TVB City yesterday. On Monday night, there was a typhoon, which helped the ratings peak at 33 PTS. Samantha joked saying she will need to do a rain dance and hope for another typhoon. She also revealed that there will be more injuries and deaths as the story progresses. Netizens have commented that Oscar Leung's acting in the show is just like 7-time film king, Nick Cheung. He laughed saying he realized that he is very funny when he is drunk, so he purposely used those elements and put it in his character. Benz Hui's acting received a lot of acknowledgement, asked if he hopes to get the Best Supporting Actor award with this character? He said: "Nah! Leave (the award) for the younger ones!" Regarding reports of Kwong Chor Fai diagnosed with cancer, Benz, who had cooperated with him before, expressed that he does not know about it: "No wonder he looks so much skinnier in photos! I will give him a call and give my respects!" Tuesday's episode also did quite well, averaging 30 PTS and peaked at 32 PTS. - "Line Walker" received 4 complaints, saying the drama has quite a lot of violent gun shooting and bomb scenes, way past the PG rating. Praised for his role as a courageous undercover cop in "Line Walker", Sammy Shum admitted that the series has given him a boost of confidence in his performance. As reported on On CC News, the actor, who attended the banquet for new series "Breaking the Line" recently, admitted that he was at first pressured to play the role, which was originally given to Sammy Leung prior to his illness, seeing that they both have different styles of performance. Sammy said, "I kept being compared to Sammy Leung and was pressured to do my best. But now that I see the feedbacks from viewers, I am more confident about my acting." "I felt like I had created my own style, and was able to break away from Sammy Leung's original performance," he added. 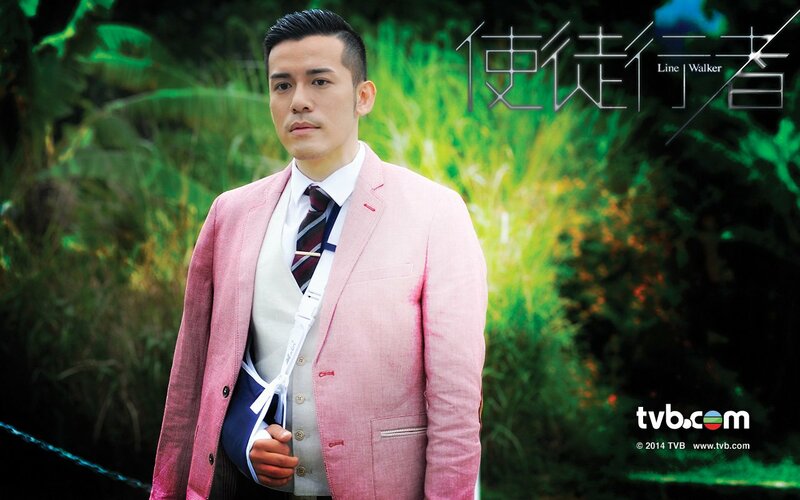 With his popularity surging, his performance in "All That is Bitter is Sweet" has also received a lot of commendation, so much so that Sammy is now rumoured to be the hot contender for this year's Most Improved Actor at the upcoming TVB Awards. Meanwhile, the actor has recently flown to Taiwan for the on-location shoot of his new sports series "Breaking the Line". After injuring himself riding a motorcycle in "Line Walker" previously, Sammy said that he will be extra cautious when it comes to filming cycling scenes. On Monday night, TVB drama "Line Walker" cast, Michael Miu, Samantha Ko, Elena Kong, Oscar Leung, Sharon Chan, and others watched the drama together during their dinner gathering in Tsim Sha Tsui. Producer Jazz Man exposed that the drama has a hidden ending. They had filmed two endings on hand, and on the last week, they will have the audience vote on which ending to use; the fate of Charmaine Sheh and Raymond Lam will be in their hands. Jazz said: "One ending is a regret, the other is a perfect ending, it is up to the viewers." Asked if they will film a prequel or sequel due to the good response from the audience? He said: "Need to see how the audience's responses are first, and let the company decide." Michael Miu expressed that it is his turn to treat the cast to dinner this time. Regarding the series ratings being quite decent, Michael feels reassured: "The drama is discussion worthy every week, and the ratings are rising. In recent years, I rarely get surrounded when I go out, (but this time) many keep asking who is the undercover. I won't tell, of course." About the drama having two endings, Michael revealed that he likes an ending with regrets, because he feels it will leave a deeper impact in the audience. But in the end, which ending gets broadcasted is decided from the audience's votes. Asked if he hopes the drama will film a prequel or sequel, he said: "Let the company and producer decide!"